"Archer is a very special talent. 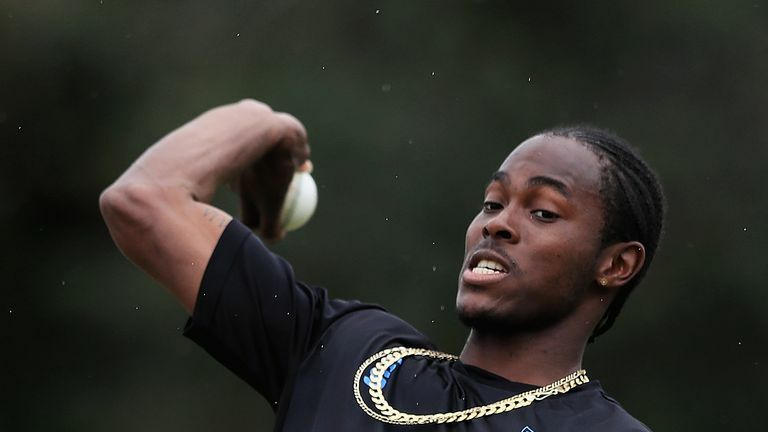 He has mainly done it in Twenty20 but he has been around franchise cricket and he is definitely a three-dimensional cricketer"
David Willey, Liam Plunkett and Tom Curran will be sweating on their World Cup spots with Jofra Archer now eligible for England, says Nasser Hussain. Barbados-born seamer Archer could be named in England's provisional 15-man squad, which is announced on Wednesday, before figuring in the one-off ODI against Ireland and the five-match series against Pakistan in May. 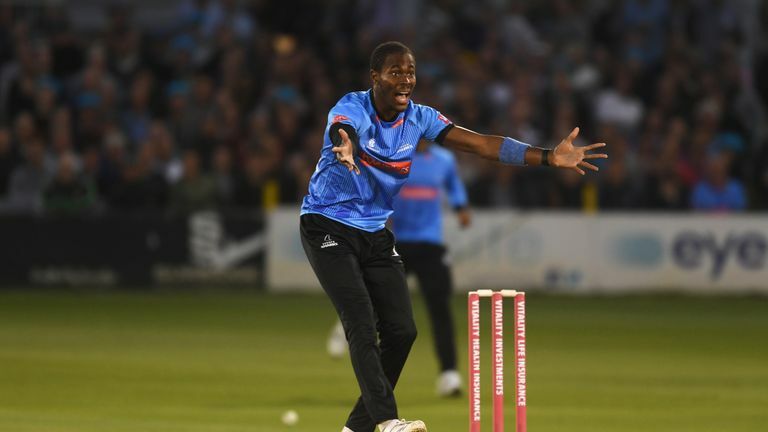 One of England's seamers may have to make way to accommodate Archer, who has impressed in T20 cricket around the world for Sussex, Big Bash side Hobart Hurricanes and IPL team Rajasthan Royals. But Sky Cricket expert and former England captain Hussain also believes Archer's county team-mate and fellow seamer Chris Jordan will be strongly considered by the selectors. Archer's speed has had batsmen hopping around against Sussex, one of the reasons he could make England's World Cup squad! "Usually before a World Cup England are trying to work out which players to pick, for once they are almost scratching their heads about which players to leave out," Hussain told Sky Sports News. "This lad (Archer) is a very special talent. He has mainly done it in Twenty20 but he has been around franchise cricket and he is definitely a three-dimensional cricketer. "I think they will pick him - it would be odd to leave him out - and what they would want to do is play him against Pakistan. "He gets into the preliminary squad for me, but this squad can be changed until up to a week before the World Cup and not just because of any injuries. "The guys who would be concerned are maybe Willey, who hasn't played too much recently but gives you a left-arm option; Plunkett, whose stats in the last five ODIs haven't been great but who, before that, has been exceptional in the middle overs; and Curran. "We haven't even mentioned Jordan, who I think might be a bit of a bolt from the blue to feature somewhere. He will definitely be discussed. It is a really tricky one and if Willey wasn't a left-armer, he may be most worried. "They could fudge it and leave one of the batsmen out - they have Alex Hales who probably won't start at the World Cup due to the batting depth they have got, so do they need Sam Billings or Joe Denly as well? Denly could be the third spinner, though. 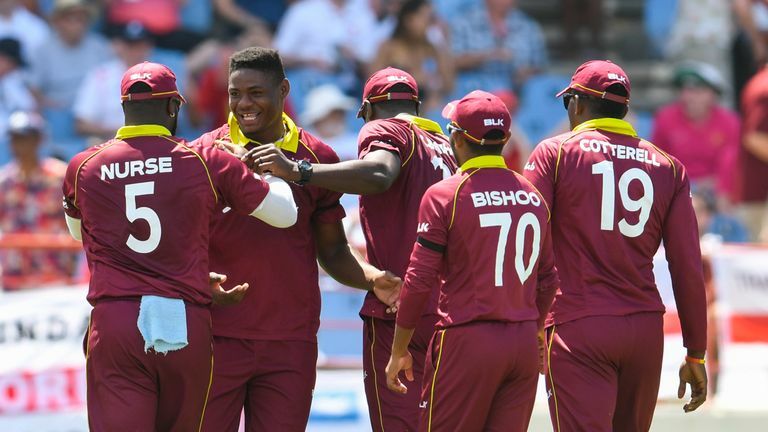 England top the ICC's ODI rankings and were on a run of nine bilateral series wins in a row before they were held to a 2-2 draw by Jason Holder's Windies in the Caribbean earlier this year. Hussain believes Eoin Morgan's side deserve their favourites tag for the World Cup but feels a number of teams can push for the title, including an Australia side revitalised by ODI series wins over India and Pakistan and now boosted by the returns of David Warner and Steve Smith from their ball-tampering bans. "England's performances over the last three years have been amazing and look at their batting depth, including one of the great white-ball cricketers in the world at the moment in Jos Buttler," Hussain said. "You just have to hope some of those bowlers, like Plunkett, haven't peaked a bit too early. "Anyone can win this tournament - India, England, Australia have really come up on the ranks in the last six months, New Zealand. Windies are also playing very well at the moment. This is a very open tournament." 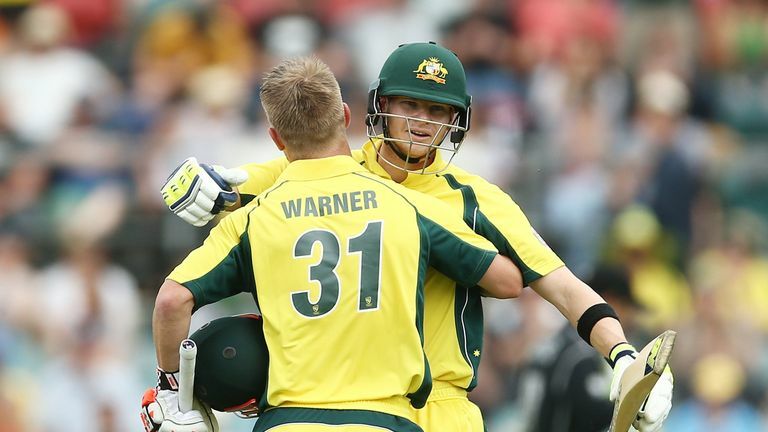 On Smith and Warner's returns, Hussain added: "The crime was done and they have done their time. You have to move on now. "Some felt the year-long bans were too long but they have done it, got their heads down and are two very fine cricketers who should be back playing."